I know as the days get cooler and the humidity leaves the air, my skin cries out for moisture. 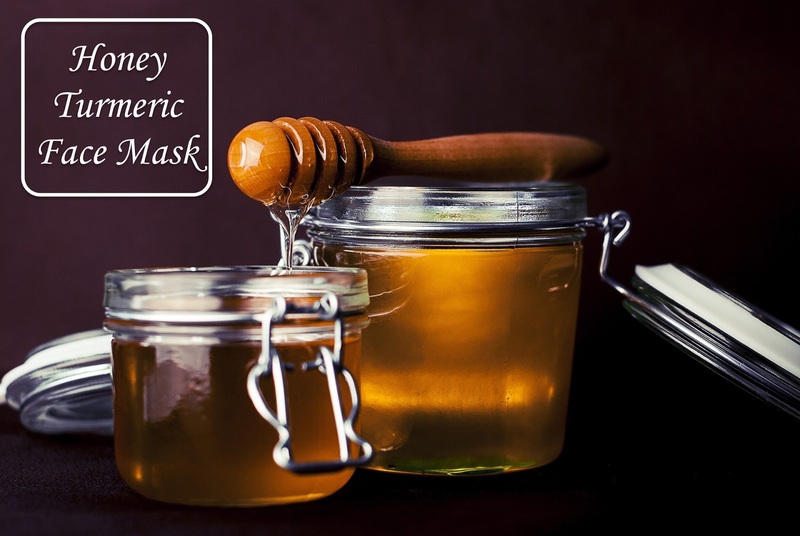 To keep my skin healthy, I use a honey turmeric mask 3-4 times per week. From research and experience, I have found honey to be a great way to restore moisture to my skin. Combine it with some turmeric and you have a beauty powerhouse. Honey contains polyphenols, powerful antioxidants that help to keep skin healthy. It is also a humectant, making it perfect for restoring facial moisture that is lost by the dry indoor air. In addition to these great benefits, honey, specifically raw honey, is scientifically shown to be antibacterial. Check out this article on PubMed. Unrelated but significant, some honeys have been shown to fight MRSA, also known as medically resistant staph. This is good stuff! Turmeric works its own magic for the skin. It is anti-inflammatory (some say more potent than ibuprofen) and is said to help reduce scarring. I've even read that turmeric helps to fight cancer. Honey shares this claim. So, now that you know all the benefits, you need the recipe! It's so easy. Like stupid easy. Mix honey and turmeric until it becomes a paste. Place in a water tight container. To use: Spread on face and let sit for a short time. Wash off thoroughly. Tip! Use this in the shower. Turmeric stains and makes a bit of a mess. Just make sure you rinse your face well or you might look a little yellow. As a reminder, I'm participating in the Ultimate Blog Challenge this month! You can always make an even smaller amount, like just for one mask and try it out. I do recommend doing it the shower, like I said. It can be messy! Like Jeanine commented, I was fully aware of the benefits of honey and turmeric but not as a mask paste. You make me curious and I will try it. Can't hurt to try, right?! This is amazing! Thank you for this blog post. I too have heard of the great healing qualities of both of these ingredients. I will definitely try this face mask.